Perfect for year round holidays just 5 miles from Sherborne and an easy drive from the coast. This semi-detached 17th-century listed farmhouse situated on a livestock farm with emphasis on conservation and is also the home of the well known herd of pedigree English Longhorn Cattle. Built in 1640 now completely restored, retaining its original character with a wealth of exposed stone and beams. It is well furnished and equipped for year-round family holidays in this Area of Outstanding Natural Beauty. The abbey town of Sherborne 5 miles, the coast at Weymouth 28 miles and many market towns and villages nearby. This is an ideal secluded location if you are looking for peace and tranquillity in the countryside. Shop and pub 2 miles. Oil central heating, electricity, bed linen and towels included. Cot and highchair. Payphone. Garden with patio, garden furniture and barbecue. Private parking for 2 cars. Please note: There is a pond in the grounds and children must be accompanied by adults on the farm. There is a pond in the grounds. 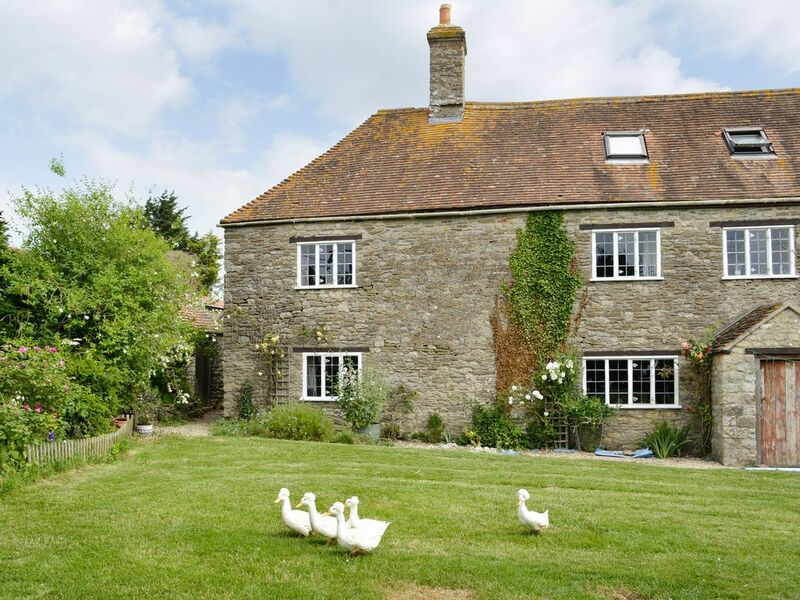 This property is situated on a working farm, therefore children must be supervised at all times. The banister/balustrade height in this property is less than 1m. This was a beautiful secluded cottage set on a working farm. It is clean and has good basic amenities. It might not be suitable for those who like/need modern "essentials" like wifi or mobile signal, but if you want to switch off this is the place.